TODAY IS THE LAST DAY TO ENTER THE CONAN CONTEST! All entries must be in by 11:59:59 pm CDT! Come on, guys! There's only been 1 entry so far. Don't let that evil genius win by default! Bob the Cat is slightly larger than a normal domestic housecat, and is able to talk in pidgen Common, although he is fluent in Goblin & Dwarvish. He has a particularly dirty mind and is constantly barking sexual innuendos at passersby. His cackling mews are also highly disturbing. An extra-strong warrior whose right arm is solid iron (treat as +2 Warhammer), Stinkeye has one eye like Verthish and reeks of garlic & leeks. Oddly, he's highly allergic to both. He wears a Cloak of Stealth and despises blacksmiths. Once the High Priestess of the Order of Amelkin, which is dedicated to the worship of Curdle, the Petty Goddess of Blind Milk Maids, Tetskuize met her mortal demise at the hands of the mad wizard Wälläkatüntün during the Flame Wars of Jubrini. Called "the Demoralizer" for the way she would scold novices of the order, Tetskuize was responsible for spreading the worship of Curdle beyond the clans of the Felsden Wastes to the majority of the known realms. She achieved this mostly by imposing strict curfews on milkers of the order and bans on avarian protocooperation and musical pageants among the milking herds, especially the dwarf aurochs, dun cows, and Mýrasýslian goats. Mouthless Tongues are the devoted minions of Tonya, Petty Goddess of Children's Teeth, and they are tasked with retrieving teeth from and delivering payment to the undersides of children's pillows. Mouthless Tongues are 3-to-4-inch long sentient tongues which resemble fleshy pink slugs. They worm their way across the ground in a manner mechanically similar to the inch worm locomotion. They are eyeless and mouthless, absorbing nutrients from their environment to survive. An Item for the Divine Items Appendix. Balanced is a +3 quasi-intelligent bonewood quarterstaff belonging to Verthish, the Petty God of Single Pips, who himself is a manifestation of the Jale God. The staff itself is carved from a stout, 8-foot-long branch of bonewood harvested from the tree of the hamadryad Phersenia in the forest of Bulahdelah. Eons ago in his youth, the Jale God became enamored with Phersenia. As she was bound by the laws of the gods to her tree, he knew they could never rule together. As a token of his esteem, he sent his protection over her forest until her death during the Flame Wars of Jubrini. He created the staff from the remains of her tree in remembrance of her beauty and her desire to "see the world beyond the green." Fairness is a +3 dagger owned by Verthish, the Petty God of Single Pips, who himself is a manifestation of the Jale God. Fairness was created from the scavenged remains of a finger joint from the giant iron golem which housed the brain of the wizard Wälläkatüntün before the wizard's final destruction by Ywehbobbobhewy, Lord of Waters, King of Mirrors, Patriarch of the Most Profound, at the Battle of the Waters of Kirkadi. Due to Wälläkatüntün's lifelong dedication to the study of inter-dimensional dice probability and alchemical mechanics, the Jale God commanded the creation of Fairness in tribute. Because the laws of probability are immutable, Fairness dispenses an additional +3 against cheaters at dice games. Verthish appears in the crowd during games of chance involving dice. He usually manifests as an aged, long haired, one-eyed man wearing a brown cloak armed only with a dagger and carrying a white staff. To all outward appearances, he is normal human rabble who likes to gamble. He will wager large sums on the outcomes of the games themselves rather than participating in the games. He is impressed with those who act hastily and recklessly in pursuit of high stake gambles and on occasion will manipulate the outcome of the dice in their favor even if it means a financial loss for himself. Space-Age Sorcery from Hereticwerks & Needles & Porky. Definitely a must read. The names of some of these spells are hilarious while the effects are anything but. Plus there are three bonus d6 tables at the back! I'm going to have to print this cover in color because it's just pretty like that. I've moved all my internal Petty Gods project links to their own page: My Petty God Mythos. Tonya, Petty Goddess of Children's Teeth, appears as a 15 foot tall tongue embedded with the missing teeth of thousands of children arranged scale-like across her frontside. She has no features beside her red pulsing body and the teeth, and she communicates via telepathy and other psionic means. Roughly 1 Week Left for the Conan Contest! See the details on how to enter here! The sound of Orcus' Butter Churn is audible throughout if PCs enter through the north entrance. The ceilings are 7.354 feet high. 2 Lovesick Mermaid. It is a foot tall & eerily beautiful. It is harmless. If unmolested, it will continue to roam the halls. 3 Fragments of a dazzling Gold Slime mosaic, very damaged, are here–a landscape with only a pair of white legs ending in hooves are visible so far. Curdle, the Petty Goddess of Blind Milk Maids, appears as a young blind and mute girl wearing a purple skirt leading an emaciated cow which has open, dripping ulcers visible on its face and flanks. The girl is tragically beautiful, her eyeless sockets scarred and her face pock-marked with acne sores, her nostril hair in need of a trim, and her hair in desperate need of a de-burring. She calls the cow “Cowie” (in sign) and they are a symbiotic pair. XVI Troop, by Cygnus over at Servitor Ludi. This is an F-Troop meets the Roman Empire adventure supplement for any edition of TSR-era D&D and related retro-clones, set in the Roman border fort of Vindolanda. Don't forget to enter the Conan contest! Feel free to spread the news on Facebook and Google+. I'm not into social media other than blogging, so I'd appreciate it! By Crom! A Conan Contest! NEW CONTEST DEADLINE: You now have until 11:59:59 PM on April 7th to get your entry in! 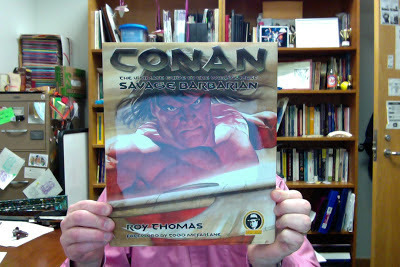 Conan: The Ultimate Guide to the Worlds' Most Savage Barbarian, by Roy Thomas (DK Publishing, 2006). But when it arrived and I started flipping through it, I found that pages 74 through 83 were bound upside down and backwards! I complained to the seller and he refunded my money because the book had a manufacturing defect and wasn't "perfect" as advertised (Amazon is pretty strict about this stuff for third party sellers). The dude was cool and told me to keep the book, as he had picked it up for pennies on the dollar at a warehouse sale. 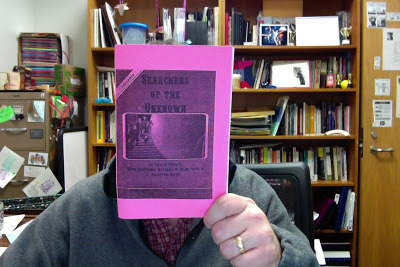 So then I ordered another copy of the book and that one was all hunky-dory in the binding department. Yet now I have two copies of this book. And, really, I only need one. What to do . . . what to do . . . The fine folks over at Lythia.com have some great resources. Sure, they are meant for Hârn, but with a little creativity they are easily adapted to any D&D-ish RPG. 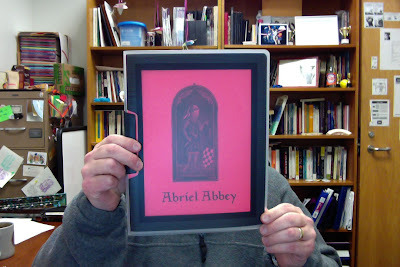 Abriel Abbey is an 18-page PDF (plus 2 maps & a cover file) available for free (as in free beer) that details a theological center and its inhabitants. I heartily recommend you go check this out. 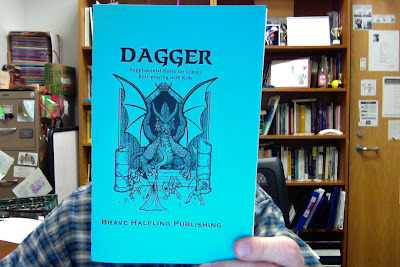 Brave Halfling Publishing recently released Dagger: Supplemental Rules for Classic Roleplaying with Kids. 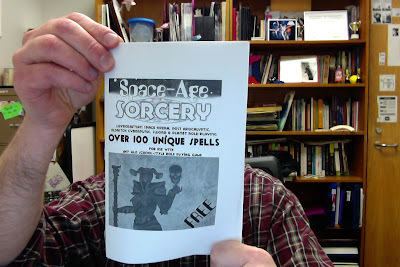 It comes in two flavors, a free version and one that costs a buck which includes color covers and a better layout. Haven't played it with my kids yet, but hope to do so soon. I like this so much I had it as my desktop wallpaper for a long time, centered on a sea of black. Yeah, this is what you think it is: a fan-edit of the Chainmail rules, cleaned up with a nice cover. Can't reveal the link, sorry. Don't worry, I'm sure dndclassics.com will have this sometime soon. Tenkar Asked . 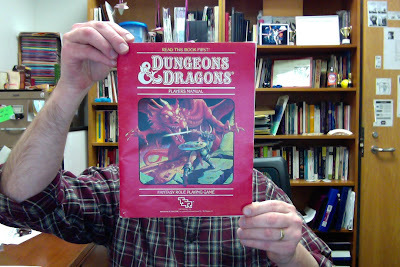 . .
Later, I delved into 1e AD&D and OD&D and then left the hobby for about twenty years. 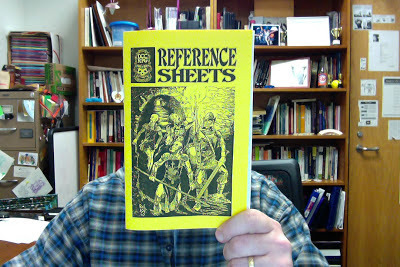 DCC RPG Reference Sheets + awesome cover by Rev. Dak, from People Them With Monsters. 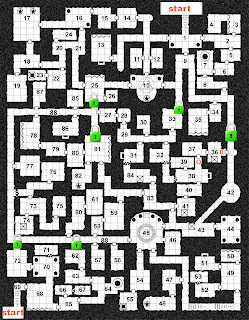 People Them With Monsters' houserules for DCC RPG: Outland Player's Reference Booklet. This one needs a cool cover. Gorgonmilk, get on it STAT! Another set of houserules, this time for Swords & Wizardry. Runes & Radiations [Edited], by Roberto Pacini. Originally found on this thread at the ODD74 forums. Dragons of the North, by Paul Elliot, another houserules document, this time for Basic D&D. Originally found in this post on Dragonsfoot.org.